Work got under way recently to map a detailed course of action for a new National Science Foundation (NSF) Engineering Research Center being led by Arizona State University. Six NSF officials came to ASU’s Tempe campus September 16 and 17 for a “kickoff” meeting with about 100 researchers, students, education leaders, industry representatives and others who will have roles in the Center for Bio-mediated and Bio-inspired Geotechnics (CBBG). ASU is now one of only two universities to lead two of the prestigious NSF-supported centers. The NSF awarded $18.5 million this summer to establish the center, which teams ASU with the Georgia Institute of Technology, New Mexico State University and the University of California, Davis, to pursue solutions to major environmental and infrastructure development challenges through expanding the emerging field of biogeotechnical engineering. ASU Regents’ Professor Edward Kavazanjian is the director of CBBG. Associate Professor Claudia Zapata is the deputy director, and Associate Professor Rosa Krajmalnik-Brown leads the center’s environmental protection and restoration thrust. 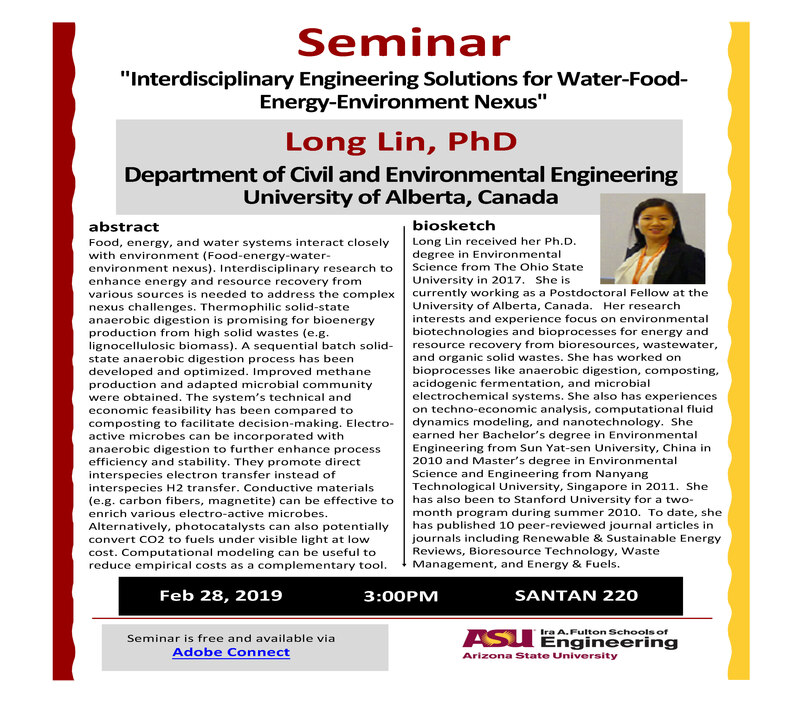 Each is on the faculty of the School of Sustainable Engineering and the Built Environment, one of ASU’s Ira A. Fulton Schools of Engineering. The center’s research will focus on both employing and emulating natural biological processes to improve the resiliency of civil infrastructure, protect and restore degraded ecosystems, and develop ways to make infrastructure construction and natural resource development more sustainable. At the same time, CBBG’s education program, under the direction of Wilhelmina Savenye, a professor in ASU’s Mary Lou Fulton Teachers College, will seek to lay groundwork for developing a future workforce with the training to apply advanced knowledge of biogeotechnical engineering and science. At the recent meetings, NSF administrators “laid out their expectations for the center, and how we are going to go about measuring and reporting on progress to meet those expectations,” Kavazanjian said. NSF’s initial award will support CBBG for five years. The center must go through an evaluation process at the end of years three and six to extend NSF funding for an additional five years, with a goal of becoming a self-supporting enterprise after the end of the 10-year period. “Leveraging the NSF investment in the center to draw outside support in future years was a strong theme in both NSF’s presentation and our discussions,” Kavazanjian said. 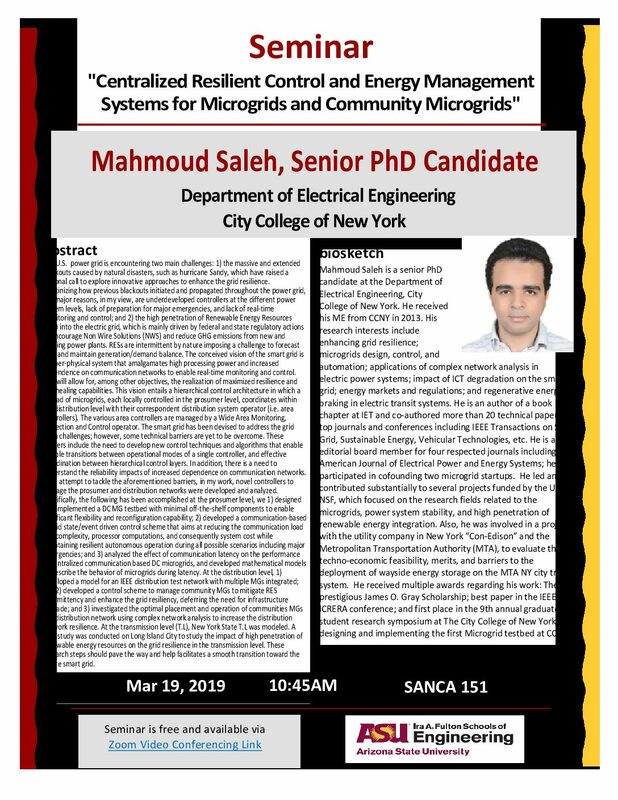 Sizable contingents of faculty members and students from each of the partner universities attended the meetings, along with three members of a five-member scientific advisory board. Board members – all nationally prominent leaders in their fields – will help the center’s leaders assess research activities on an ongoing basis to keep projects on track toward reaching CBBG’s ultimate goals. Among other participants were representatives of the Arizona Department of Transportation and the Arizona Department of Environmental Quality – two of the public environmental and infrastructure management agencies that will that will collaborate with CBBG researchers. Other partners include the Greater Phoenix Economic Council and the Maricopa Association of Governments and Arizona Technology Enterprises. There also were administrators from the Arizona Science Center at the meeting. 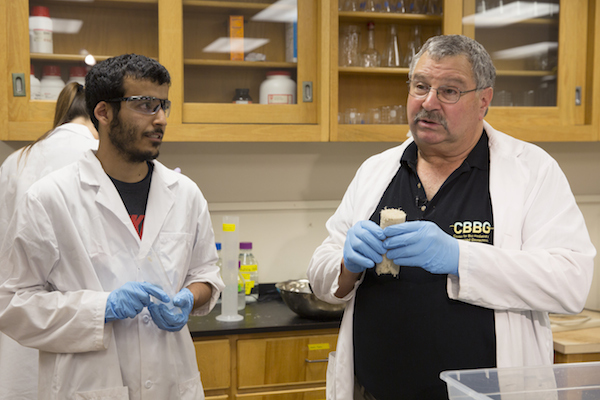 Each of the CBBG’s four university partners is allied with a local science center to develop projects designed to educate the public and inspire the next generation of biogeotechnical engineers, Kavazanjian said. A number of CBBG education partners participated in the meeting, including administrators from Dysart Unified School District and Capital Elementary School in Phoenix, Glendale Community College and Phoenix College. The center has plans for an extensive K-12 outreach program to promote students’ interest in biogeotechnical engineering and related branches of science and engineering. “The idea is to get them to college, and get some of them as far as pursuing doctoral degrees to become tomorrow’s foremost experts,” Savenye said. The outreach effort will also put an emphasis on promoting diversity within the ranks of future college engineering and science students, she said. The kickoff meeting resulted in “plans for some very hard work ahead,” most of it described in more than 60 specific metrics developed by NSF to chart CBBG’s progress, Kavazanjian said. In addition to those who attended the meetings in person, many others viewed the proceedings through a video live stream over the Internet, including representatives of the 15 universities around the world that have expressed interest in collaborating with CBBG on research and education efforts.